Khirbet ed-Dawwara (South) is located on the crest of the Hebron Hills, about 2 km east of Ḥalḥul and 2 km west of Shiuḥ, on a hill rising 950 m above sea level. East of the site stretches the Sa‘ir Valley, which separates the hilltop settlements from those on the fringe of the eastern desert. The site is surrounded by fertile land and water sources, including a copious spring on the slope of the site, which provided the ancient settlement’s water. The remains extend over an area of some 4 a. Visible before the excavations began were the remains of a fortified building whose upper course projected above the collapsed debris. 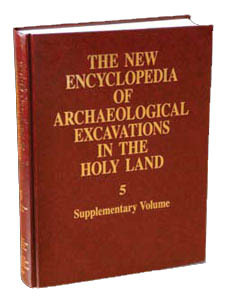 In 1995–1996 two seasons of excavations were conducted at the site by the Staff Officer for Archaeology in Judea and Samaria, under the direction of I. Sharukh. The excavations were concentrated in the main building at the summit of the site and in adjoining structures. The remains of four main periods were distinguished.